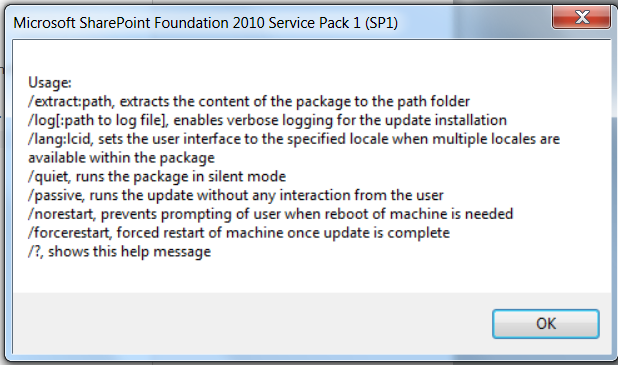 I downloaded the appropriate service packs, and kicked off the foundation SP1 install and got the following. 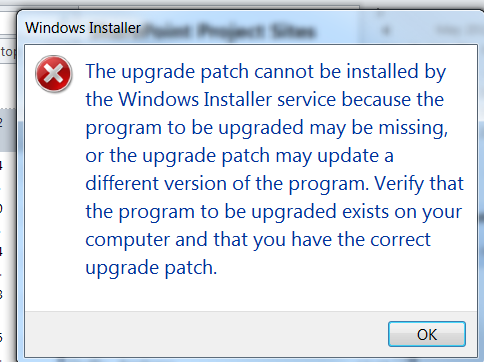 The error appeared straight away, no upgrade log was written, nothing in the ULS logs and nothing in the Windows logs. I used /? switch on the end on the Service Pack file to get the usage options. There is quite a lot of information written to the log file, but nothing that pointed to the reason of the failure, next was to extract the patch and see which patch file was causing a problem. 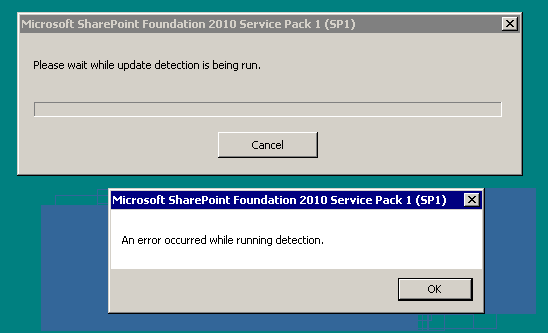 Running the patch wsssp1-x-none.msp was giving the following error. I tried running the Config Wizard, but that didn’t help either, after checking with one of colleagues who knows all about packaging software he thought that the failing msp was probably looking for a specific registry key or value. Then I re-ran the Config Wizard, (which now asked about removing the server from the farm). Finally, after all this the Service Pack would finally install. 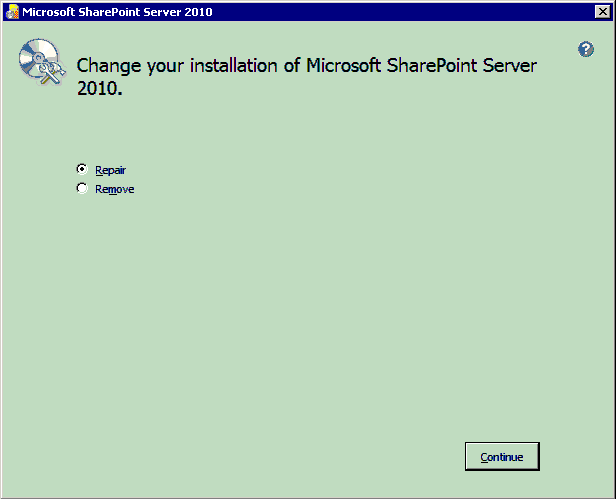 Another day done in the world of SharePoint.